Home » Animal diseases » African swine fever: KSU researchers focused on stopping the spread and preventing it from reaching the U.S.
African swine fever: KSU researchers focused on stopping the spread and preventing it from reaching the U.S.
African swine fever virus threatens to devastate the swine industry and is positioned to spread throughout Asia. The virus has spread throughout the Caucuses region of Eastern Europe and was reported in China in August. It recently was detected in wild boar in Belgium. In 2013, the Biosecurity Research Institute became the first non-federal facility to be approved for work with African swine fever virus, Higgs said. The university projects at the Biosecurity Research Institute are part of research that can transition to the National Bio and Agro-defense Facility, or NBAF, once it is fully functional. African swine fever is one of the diseases slated to be researched at NBAF, which is under construction adjacent to Kansas State University’s Manhattan campus. 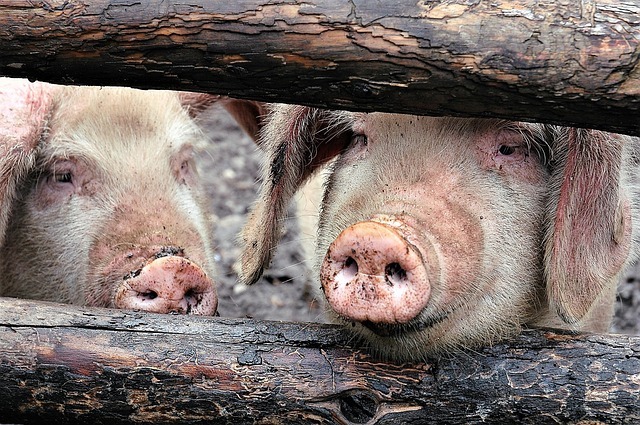 Read Stephen Higgs’ editorial on African swine fever, which recently was published in Vector-Borne and Zoonotic Diseases.